Bgreen // ecological film festival is an ecological video competition promoted by OFICINA – Instituto Nun’Alvres Professional School, with the main goal of raising youth’s awareness to environmental issues through the creation of video spots. The competition is addressed to students of basic or secondary education (or equivalent), from all over the world, aged between 13 and 21 years old. 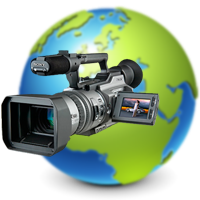 In order to participate, you must create a video spot about environmental issues such as pollution, global warming, deforestation, lack of clean water, renewable energy, recycling, among others. Do you care about the environment? Do themes such as pollution, global warming, deforestation or lack of clean water interest you? Are you a fan of renewable energy? Do you look forward to a more balanced and sustainable planet? Then, you are a part of the change and bgreen is for you. Participate! By recycling batteries we are recovering chemical compounds that can be reused in the making of new materials. The air we breathe may contain more than 900 chemicals, particles and biological materials that are harmful to health.